While the Washington Post op-ed page leaves much to be desired lately, they still produce some good reporting. This story about Peggielene Bartels is simply brilliant. Who is Peggielene Bartels, you ask? Peggielene Bartels, a secretary in the Ghanaian embassy in Washington, D.C., became king of Otuam, a town in Ghana, after her uncle, the 90-year-old king of Otuam, died. She currently divides her time between Washington and Otuam, and plans on becoming a full-time king after her retirement from the embassy, at which time she will oversee a 1,000 acre family-owned estate and occupy an eight-bedroom palace. But, on a more serious note, this also is an interesting from an intelligence/critical thinking perspective. Particularly, I think it provides some interesting points for thinking about making assumptions about other cultures. Bartels’s organizational skills and decades of administrative experience are greatly admired in Otuam. For one thing, she is literate, which many of the elders are not. She knows computers, having received a diploma from Strayer University in computer information systems. Or her explicit efforts to de-emphasize her gender. Or how she settles a dispute centered around charges of witchcraft. So what’s the lesson for analysts? Think about how often this contextual stuff doesn’t make it into reports, assessments or briefings yet is critical to understand what’s going on and how the local population interprets reality around them. Picture locals coming to a force of Western troops conducting peace operations for help over a witchcraft problem. Since we, in the West, don’t place much stock in the paranormal a predictable reaction would be to ignore or minimize the issue. But for the locals, who participate in a different reality, such inaction could be interpreted as insulting or impotence or incompetence. I just finished ‘Where Soldiers Fear to Tread‘ which is the account of the author who, in 1998 decided to volunteer with the World Food Program in Somalia as an operator of a boat to carry humanitarian supplies to villagers displaced by flooding. I’d read Burnett’s book Dangerous Waters which was interesting if a bit uneven but this book is far better. What struck me was how similar the experience of aid workers are to combat journalists and soldiers. The big differences being soldiers get to go into dangerous places armed and can count of having a whole bunch of armed support if things don’t go well. Aid workers have to rely on a mixture of negotiations, bribes and dumb luck. 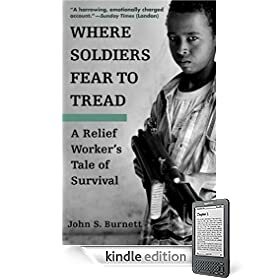 The end of the book discusses security of aid workers in the post Cold War world and how the perceived safety of them through their neutrality has been shattered. The book takes the UN and other NGOs to task for neglecting security and proper training of their personnel (and provides yet another critique of Kofi Anon that I keep stumbling on). The book dances around the issue of the role of adrenaline addiction as critical to both the aid and military fields. Why, exactly, would someone who is skilled and could get safe, profitable work in any number of places volunteer to insert themselves in some of the most dangerous places on earth where you are likely to be viewed alternately as a source of funds, human shield, bargaining chip, spy, or target for frustration. It does cast a cynical eye at those who claim to do so for purely altruistic reasons. After denying the Dalai Lama a visa to attend an international peace summit in South Africa, the country today announced that it would award Fidel Castro its top honor, the Order of Companions of O. R. Tambo In Gold. You’ve got to be kidding me. I think perhaps South Africa should change their motto from ‘South Africa – It’s possible’ to ‘South Africa – Beyond Bizarre’. Just when you begin to think that South Africa really is a civilized nation they seem to go out of their way to convince you that’s not, in fact the case. Is an Afghan version of the Tet Offensive in the works? CNN seems to be implying it may be. Excuse me for stating the obvious but that would be very, very bad. Of course, if you are the Taliban leadership this is probably a good time to try a bold move. Spring has arrived, the 17,000 troops haven’t (yet), Washington still hasn’t completed their strategic review, nobody is quite sure what the Europeans are going to do, a new narrative which is decidedly gloomy about our prospects there and national policy makers are distracted with the economic crisis. A significant strike which makes the Afghan/coalition forces look weak or over-reactive might convince enough people that the whole thing isn’t worth it and encourage us to get the hell out. 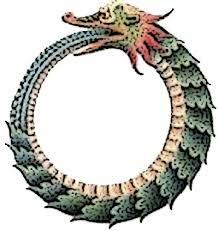 Via Kotare, (who linked here which makes this the stereotypical snake eating its own tail) Jeff Vail predicts the imminent dissolution of the Mexican state. I can’t comment on his hypothesis that this is signaling the beginning of the end of the nation state (although I’m putting his paper on my reading list since my weak laptop won’t allow me to do what I’d prefer to spend my time on) but I think something has been missed in all this talk about the problems going on south of the border. Since the mid-1990s, U.S. immigration policy has dramatically boosted the proliferation of gangs throughout Latin America and Asia by deporting tens of thousands of immigrants with criminal records back to their home countries each year, including a growing number of gang members. In 1996, around 38,000 immigrants were deported after committing a crime; by 2003, the number had jumped to almost 80,000. Often, gang members have spent nearly their entire lives in the United States. But once they run afoul of the law, their immigrant status leaves them vulnerable to deportation. The countries that receive the flood of deportees are usually ill-equipped to deal with so many returning gang members. It’s not as though many gang members wish to remain in the countries of their birth. With little or no connection to their new homes, deported gang members typically face a simple choice: either find a way to return to the United States or seek protection from local gang members. In the case of MS-13, the U.S. government has deported hundreds of members, many of whom continue to illegally migrate back and forth, often carrying goods or people with them. Those that remain in their home countries are almost sure to connect with other deported gang members, and authorities in these countries say they are responsible for a large upswing in crime and violence. In a sense, U.S. immigration policy has amounted to unintentional state-sponsored gang migration. Rather than solving the gang problem, the United States may have only spread it. So, even if Mexico doesn’t collapse will we see a repeat (perhaps on a larger scale) of this behavior? A further spread of Mexican gangs fueled by the criminal groups seeking to establish/consolidate their position in the illicit commodities trade and also by the revolving door of criminals being deported to Mexico and sneaking back into the U.S., usually to stay with friends/family in a sort of unintentional colonization. [W]hen people move, they take their culture with them. For example, Trey, a member of Chicago’s massive Gangster Disciples, moved to a small town in Arkansas where his brother, who is not a gang member, had found a job. Although Trey tried to “go legit,” he soon found that his status as a Gangster Disciple from the housing projects of Chicago gave him a formidable reputation in small-town Arkansas. Within nine months, he started a new Gangster Disciples “chapter” with 15 members. And to top it all off, Germany is now selling ‘Obama-fingers‘. I’m not sure if something has been lost in translation or German marketers have decided to target the cannibal/zombie demographic directly. Either way, nothing good can come of this. Yep…time to get your ‘Go bags’ ready ladies and gentlemen. I think I’ll re-watch Mad Max this weekend (this time as an instructional video). I’m in Borders right now doing some homework and enjoying some ‘Foo-foo’ coffee (the only kind I can drink). In my attempt to use this place as a kind of hip library I went to see if they had anything that could help me on a question I had about Niger. Well, believe it or not, there isn’t one non-fiction book in the whole store about Africa. Even the Polar regions have a small section dedicated to them. You’d think every continent would merit at least one book. Yeesh…I just now this is some sort of metaphor for U.S. policy towards Africa. It’s so far off our radar we don’t even know it’s missing. Just when you think that everything is controlled by amoral corporations, corrupt governments and similar bottom feeders, you get some news that really provides some inspiration. The Chinese sent a cargo ship (the An Yue Jiang) loaded with weapons and ammunition to Zimbabwe where it looks like the Leech in Charge (Robert Mugabe) has decided that 27 years in power isn’t enough and is preparing to destroy the country in order to continue ruling it. No countries on the continent would allow the ship to unload the weapons at their ports which left Mugabe (Zimbabwe is land locked) out of luck. The most dramatic refusal occurred on Friday where South African dock workers refused to unload the ship even though the government said it was had no legal authority to interfere with what was a legal transaction between China and Zimbabwe. So…a definite win for Africans! I just started reading Meredith’s ‘The Fate of Africa’ hoping, unrealistically I know, it finish it before my next class starts on the 7th. Even if I don’t, I’m hoping there might be some applicability to the subject matter of the class, titled ‘Foundations of Peace’. I haven’t even gotten fifty pages into the 750+ page behemoth yet but I have to say that the author’s writing style is quite inviting. Perhaps it’s just me but it seems like history and political science writing has gotten much, much better over the past 20 years and reputable authors no longer view accessibility to a general audience as synonymous with selling out. A preview of the book is available from google here. As I was reading this morning, I briefly began thinking about the current crisis in Sudan and the difficulty in getting an effective peacekeeping force there. The International Peace Operations Association (the lobbying organization for private military companies) has held the position that they could do an effective peacekeeping mission (at lower cost and higher efficiency that traditional alternatives) if nations or international organizations (like the U.N.) would pony up the money. For some reason, I began wondering if such a mission could be raised if private citizens raised the money instead. Then I saw this article (linked from here) that talks about George Clooney and Don Cheadle offering to raise $20 million out of $47 million needed to equip the arriving UN force with 24 helicopters. I think the offer is a moot point because it doesn’t seem that money is the problem but rather political reluctance (and here let me recommend Samantha Powers’ The Problem from Hell for more examples of such behavior). So what if the $47 million was entirely financed by private individuals? If Ron Paul supporters (relatively few in number, burdened by campaign finance laws on donation size and not exactly overflowing with high income supporters) can raise $12 million in one quarter, how much could a semi-organized movement raise to support something as widely supported as peace in Sudan? If one or more PMCs were offered a significant amount of money to conduct peacekeeping missions (or, more likely, peace enforcement missions since the Khartoum government would not be open to such a mission and some sort of combat would be required) would they do it? I haven’t thought this through but it’s an interesting idea.